► Nadir/ Zenith Patches - you can easily cover tripods or other elements in the nadir or zenith with a custom picture or your own logo. 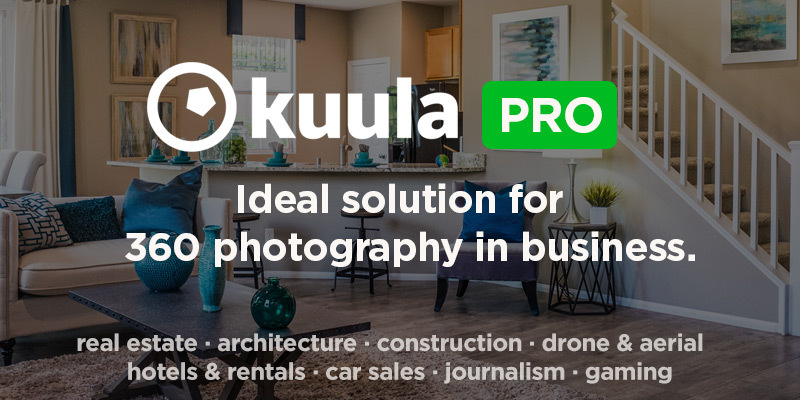 Kuula is the best platform to host your 360 photos and a FAST and EASY way to build virtual tours and interactive presentations. You can link 360 images, add hotspots with text, images or videos, or just add text. Kuula works great on both desktop and mobile, the content can be viewed in VR and can be easily embedded on other websites. Hope you will like the new features and you will check them all out soon!